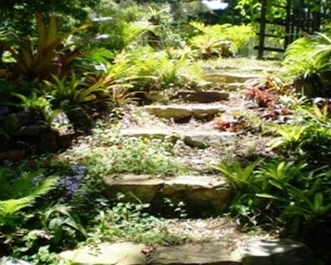 We offer the comprehensive range of services that you would expect from any professional landscapers. 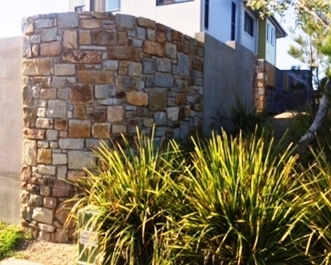 But in addition to our general landscaping services, we offer experienced Stone Mason services. We will ‘carve’ rocks and stones working with them individually until they suit the project perfectly. 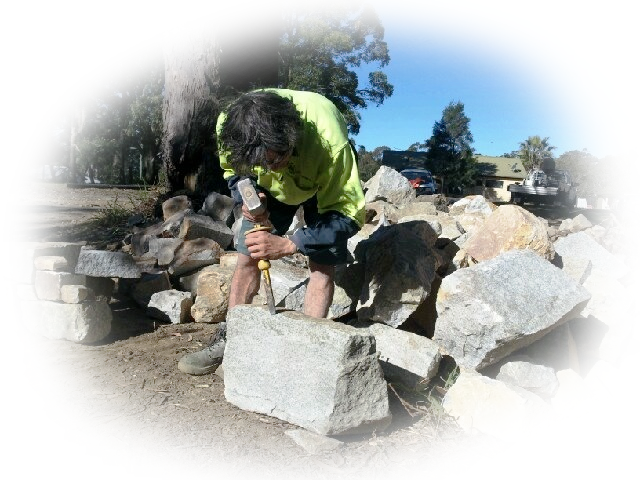 There is a massive difference in the finished stone created project when using a professional Stone Mason compared with someone who will place rocks as best they can. Any landscaping you do, whether around your home or to enhance a public area is on display to others and you must be 100% happy that you have received the aesthetic vista you wanted. 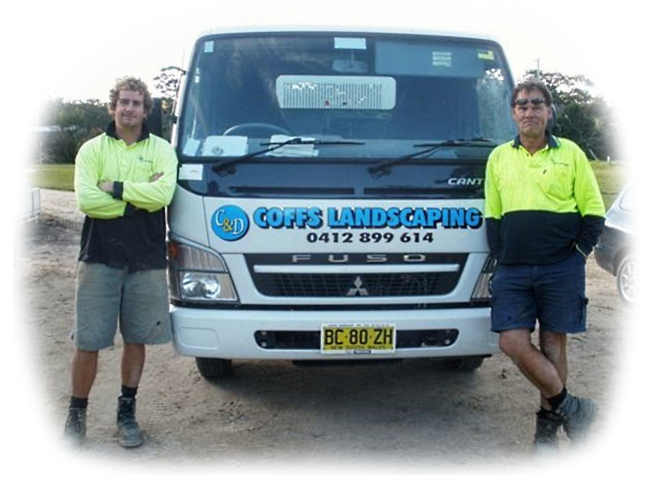 We service an extensive area in New South Wales spanning from Nambucca to Corindi. We have a range of rural clients and are happy to quote for cartage/travel to country districts. We enjoy implementing our ideas and skills anywhere and are happy to travel further for substantial projects. Click here and let us know where you are and we can confirm if we can service your location. 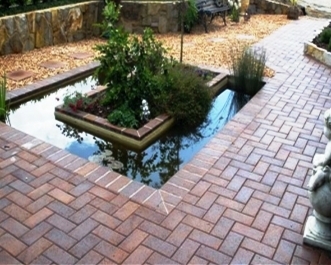 We offer a vast range of individual services to complete the look and feel of your garden. In addition to the mainstream landscaping services, we like to display our individual stamp on all projects we undertake. We are also qualified stone masons with a vast range of projects under our belt and would be proud to show you examples of our work. Take a look here at our services. “Chris gave me a few quotes based on different materials. 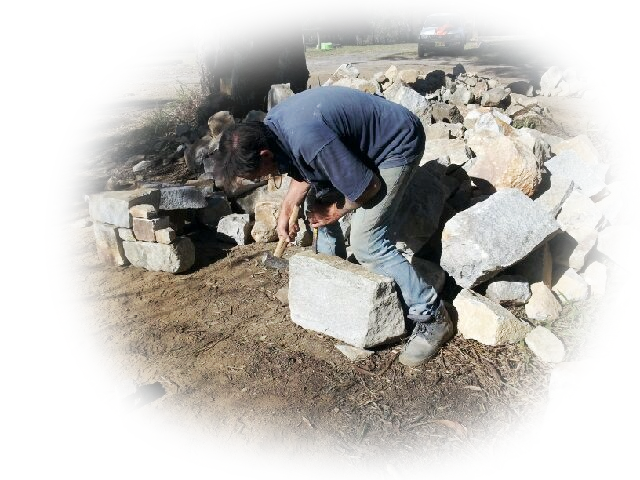 They subsequently built my first retaining wall and I was so impressed with the quality of the job and their work ethic that I have used their services four more times… more"
“… the easiest part of building our new home? Definitely the landscaping and state of the art retaining walls. From our first meeting with Chris, we knew he was the one we would be happy to work with… more"
“Our landscaping and paving project was completed professionally, on budget and on schedule. Chris and his crew worked tirelessly to finish the work before Christmas and solved several unexpected site issues… more"
Can you provide a landscaping licence number? We will accept any project related to our trade from tidying up your garden to constructing acreage landscaping designs. We will always offer the best possible quote and, if possible to do so without sacrificing the standards and quality of our work and materials, we will be happy to match a competitors quote. You are welcome to discuss this with Chris at the time of your enquiry or on the site visit. Do you offer any warranty on your work? Yes. We have a 7 year warranty on all our structural work and of course, we ensure that you are satisfied with the final project before we sign it off. Our team consists of 5 well experienced landscapers each of them specialising in particular skills. Our business owner, Chris, will be the one who evaluates your project and he will appoint the team members who are the most proficient in your particular requirements. This enables the project to be completed in the shortest period of time with the best possible outcome. Regardless of whether Chris is on the job full time or not, he will always be over-seeing the progress.